Two weeks ago our family attended a Passover Seder dinner at the home of a Stony Brook student who is a close friend of Jacob’s. Margot often jokes that she is our adopted daughter because she hangs out with both of our children, she has eaten our food, and she has even spent the night during a snow storm. 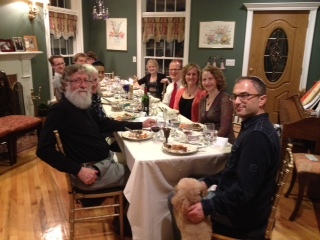 This wasn’t my first Seder dinner to attend, but it was my first 100% Jewish Seder. Growing up, my dad led several Seder dinners at various churches we attended. Even as a child, I found the symbols, the songs, the readings, and the food captivating. Having lived in Chicago and now in New York (both places containing sizable Jewish neighborhoods and populations), I could count on the grocery stores filling their shelves with matzo, grape juice, gefilte fish, and horseradish each spring. A traditional Seder begins with the service and then breaks for the meal. What a feast! 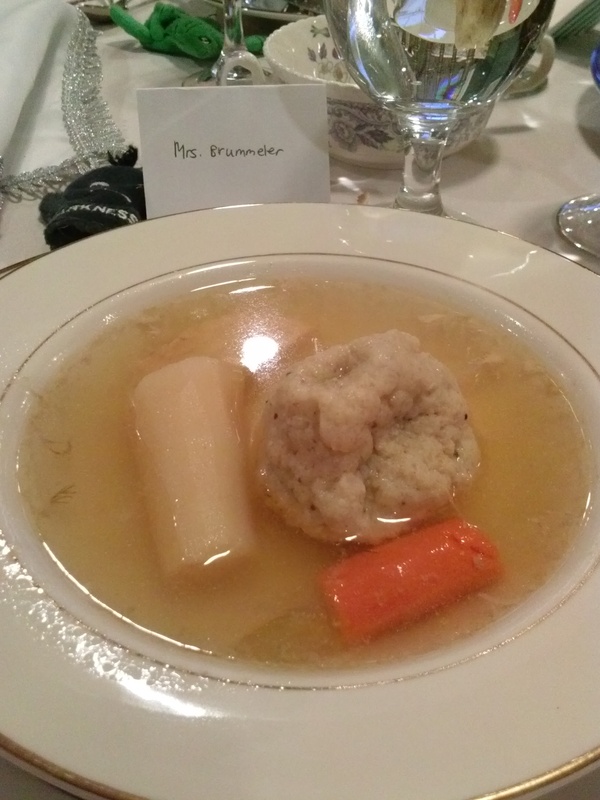 The first course was matzo ball soup. The matzo balls were the size of small baseballs and each one formed by hand! For the main course, we feasted on brisket with onions, tomatoes, and a delicious gravy, roast chicken, roasted brussels sprouts, braised carrots with rosemary, and a type of potato pancake (but not a latke, since flour is avoided during Passover). 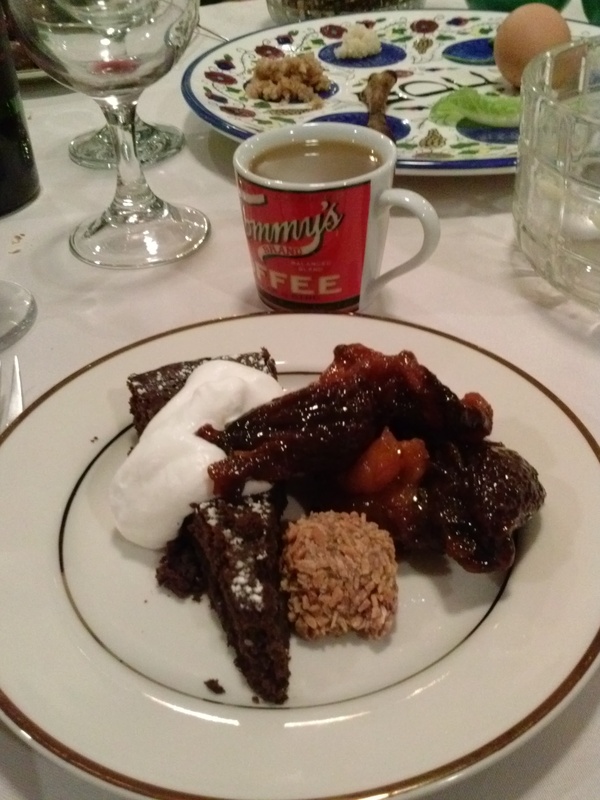 Dessert included a flourless chocolate cake, fruit compote, and a variety of chocolates and cookies. After dessert, we finished with the remainder of the service. As a Christian, I found the Seder service to be especially meaningful. There is something to be said for yearly rituals that remind and reinforce one’s faith. I found myself wondering what Passover was like for Jesus? Did each yearly celebration remind him that he would be the ultimate Passover lamb? I also found myself reflecting on the persecution that the Jewish people have experienced over thousands of years. I can only imagine what comes to mind as one recites the familiar prayers and words of the Seder service—words of hope, comfort, and promise. My own Easter celebration was richer this year as a result of this experience. The Messiah has come—indeed, he has risen from the dead!